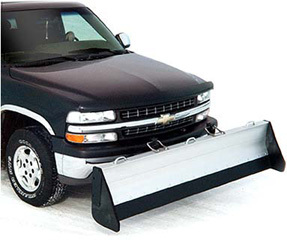 The Snowsport Personal Utility Plow is one of the easiest and most affordable snow plows you'll ever use. Clean, simple design, perfect for your personal vehicle. Blade weight approx. 120 lbs. Shipped By Freight Truck and cost between $130-$150 for shipping.